Yeah…it really is all about me! 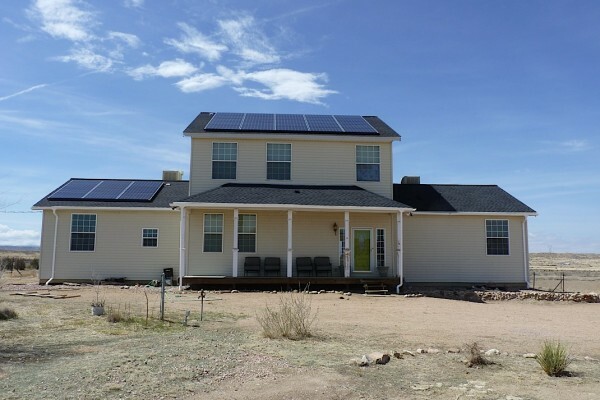 I have a hard time picking paint colors because once I know what I want, it’s hard for me to find exactly what I have in mind. 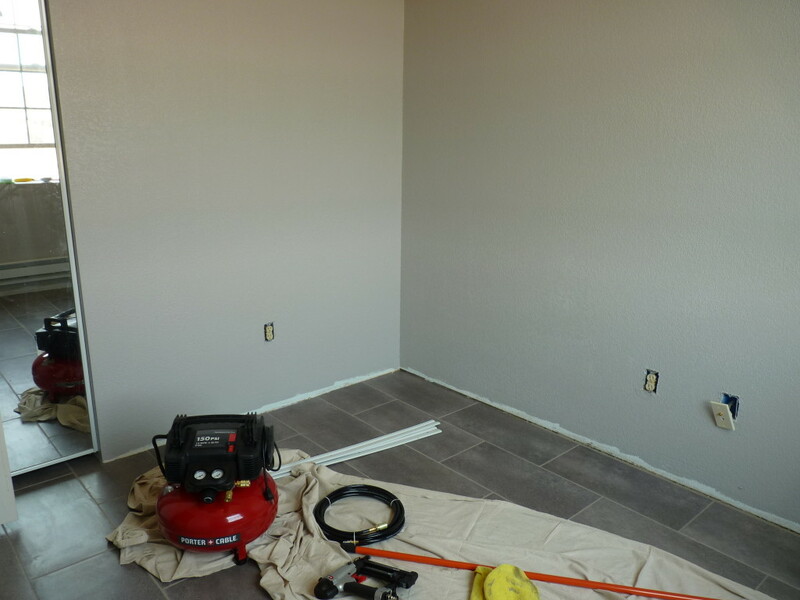 I knew I wanted a warm gray because 1) I like gray, 2) it’s easy to add accents colors to, and 3) it was going to fit with the tile I had chosen to replace the carpeted/vinyl areas. So, I ordered some Valspar Signature Paint colors and started test patching. 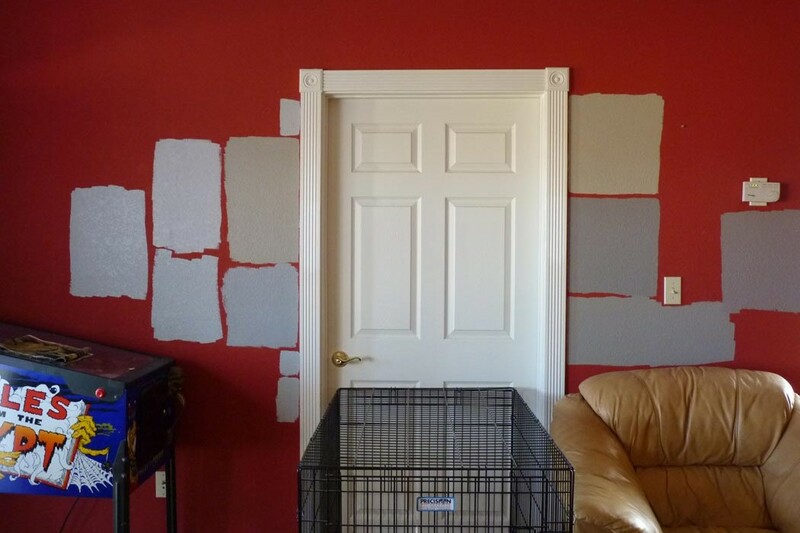 Patching is hard when every room in this house is painted with different, absolutely staggeringly bold paint colors. 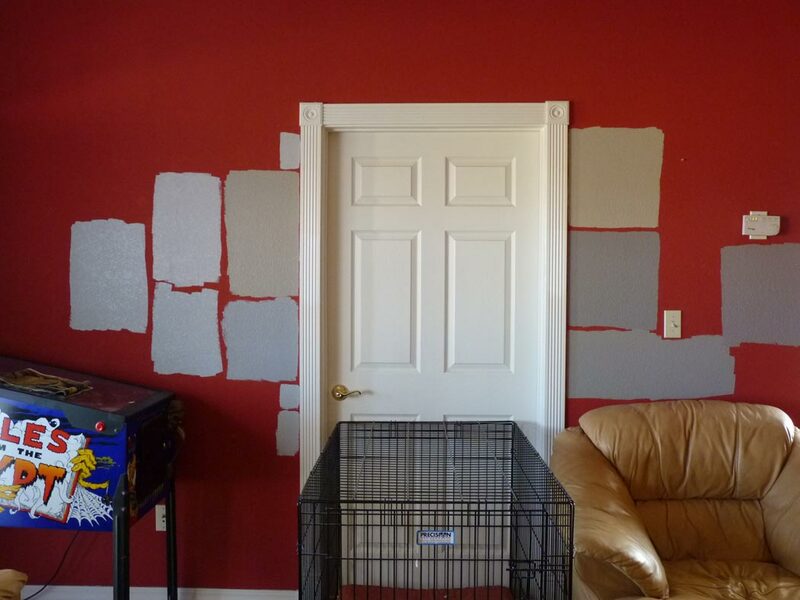 So, I chose the darkest and boldest figuring if I could cover that color, the paint would cover ANY color. 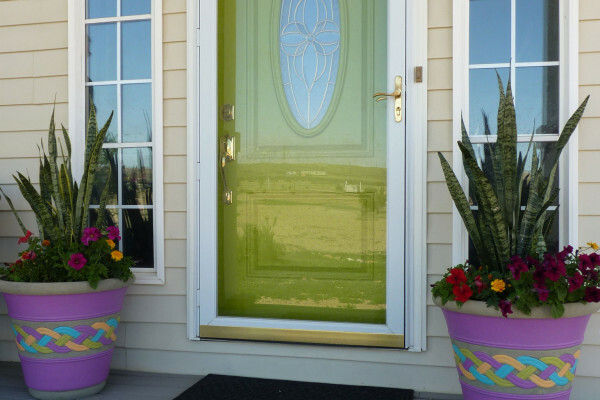 If you have not used the Valspar Signature Paint from Lowe’s, you are really missing out. I LOVE THIS PAINT! I use the Satin finish and it’s yummy. It’s a paint/primer combo that has a thick creamy consistency that all but eliminates drips and dribbles. 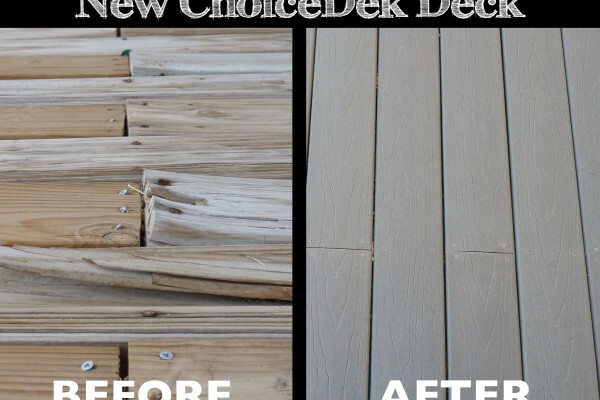 You can actually paint without a drop cloth! OK, I’m not saying I do paint without a drop cloth, but I have been known to not move the drop cloth to the area I am working. Do not try this at home. OK, so back to test samples…. I let the samples ferment for a few days and narrowed the selection down to two colors – Shaken Not Stirred and Opera Glasses. I thought Opera Glasses was the color. 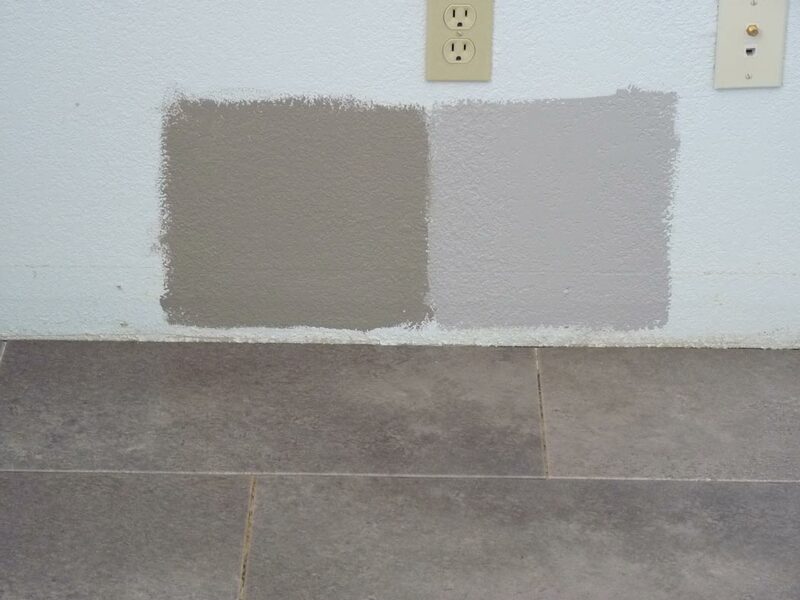 So I then test patched the colors in the room with the new tile (and a room with not so dark and bold a color!). That’s Opera Glasses on the left and Shaken Not Stirred on the right. Well, as is always the case, James Bond comes out the winner with Shaken Not Stirred. How can you not love a paint with a name like that? 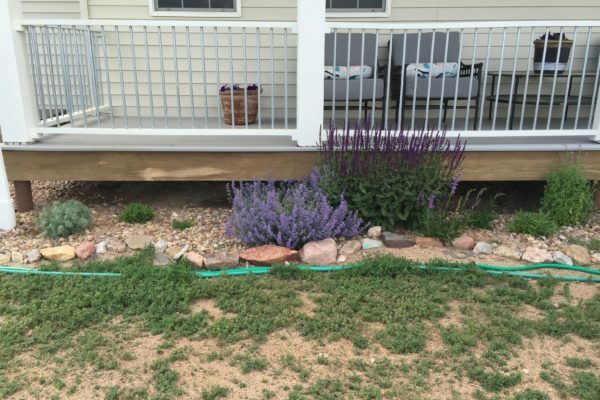 I decided to go with an almost pure white for the trim – Snowcap White. Again, a Valspar Signature Paint in Semi-Gloss. I was not looking forward to painting the closet (again with 10 foot ceiling) because I could not get the ladder in there properly to reach the top of the wall. After some acrobatic moves and bracing the ladder and using it, as it was not intended, leaning against the walls I was able to get the closet painted. With all the walls painted, next step it to put the trim back and paint it. 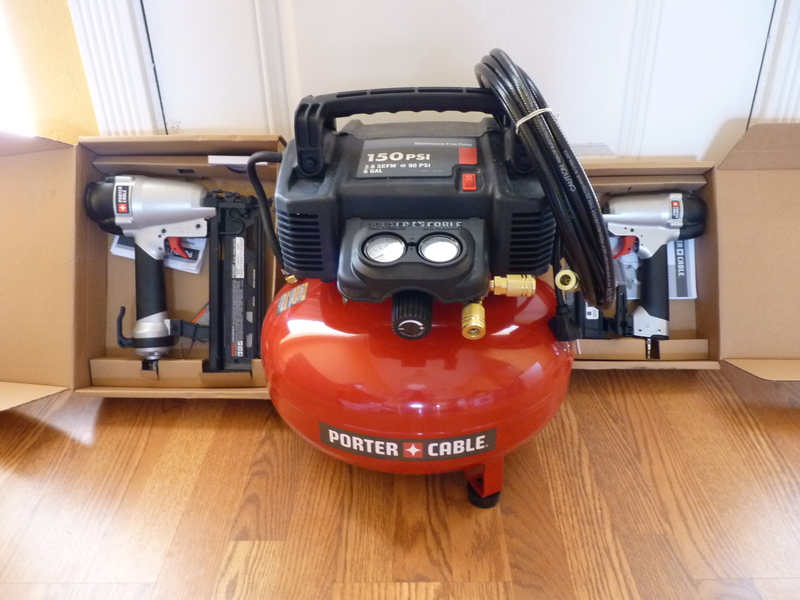 See my new Porter Cable Two Nailgun & Compressor Kit – 150 PSI Compressor, Model# CF6221 ? Reading the manuals now and will be on my way to putting up trim! Watch for my post about my new tool. Copyright (c) Cathy Graham - All rights reserved.